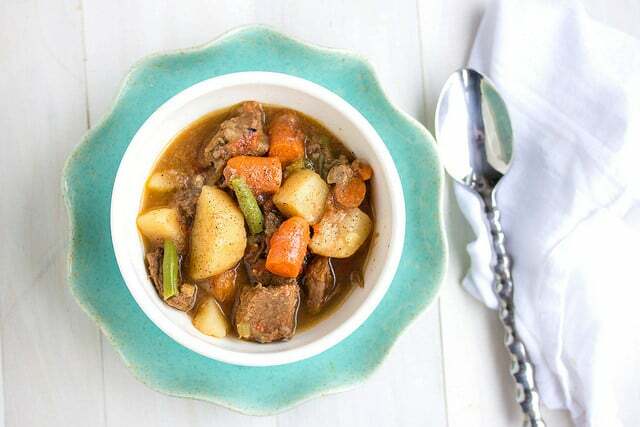 I wonder if it’s possible to have soups or stews every night, all winter long? I won’t complain! This is yet another dish that reminds me of my dad. This was one of those meals that was on the rotation every winter, and boy was his version good! All I can remember is picking through that stew for my favorite parts – the chucks of tender beef and potatoes. 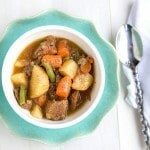 I’ve made several different versions of beef stew over the years. Most recipes are very similar, as this is somewhat of a classic recipe. You brown the meat and vegetables (which are typically onions, celery, and carrots), add the other ingredients to the slow cooker, and then wait for the magic to happen. If you are feeling especially hungry, grab a loaf of fresh crusty bread, and dunk chunks of that into the gravy – it’s sooo amazing. 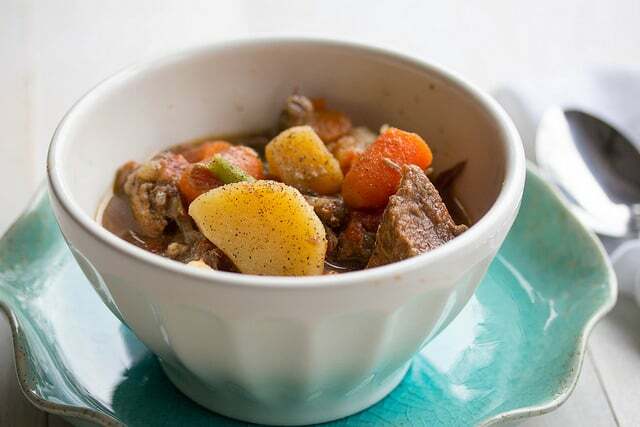 Note that the stew thickens a lot after it cools, and you might need additional broth to thin it out if you are going to enjoy leftovers. Place meat, softened vegetables and all remaining ingredients into the slow cooker and heat on high for 4 to 5 hours or low for 8 hours.